“According to me he was a wali…“ (wali means friend of God). This makes clear his belief regarding aspects such as hulul (indwelling), and that his utterance of the phrase “ana al haqq” was either in an unconcious and emotionally involuntary state or held a different meaning than what people claimed. This is what our master and guide, the arch-helper and pole of the Muslims of his time, Hakim al Ummah Maulana Ashraf `Ali Thanawi (May Allah sanctify his secret) stated in many of his works. This is the position of the Deobandi scholars that all Deobandi laymen should be aware of. There were many other scholars of great repute before Deoband who said the same such as Ibn `Aqil, Ibn Khafif, Ibn Ata’illah, Ibn Qudama, Munawi, Imam Qushayri and so forth. Blessings on the Prophet, his family, and his companions. Credit: Thanks to Yasser for pointing me to the post on Mansur Al Hallaj (may Allah sanctify his secret) in Contemplating Chishti blog. 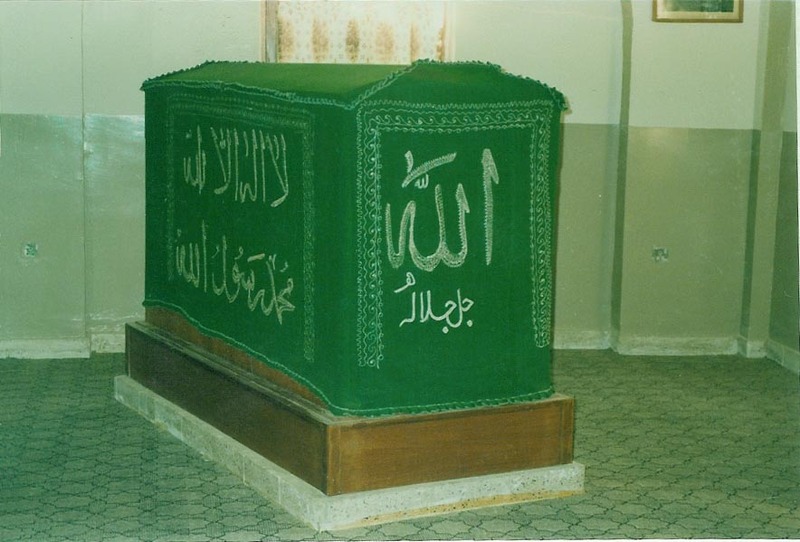 Additional Links: Picture of Mansur's shrine, may his soul rest in peace.